Tyson Fury hopes his “iconic comeback” against WBC heavyweight champion Deontay Wilder can inspire fellow mental health sufferers. Fury regained his title-winning form to become only the second man in 41 fights to take boxing’s biggest puncher the full distance after battling back from a spiral of depression which led him to the brink of suicide. The former three-belt champion, however, was floored in the ninth and almost didn’t hear the final bell at the Staples Centre in Los Angeles on Saturday night. A savage combination left Fury motionless on the canvas early in the final round but to Wilder’s amazement; the challenger jolted back to life at the count six and on his feet by nine. 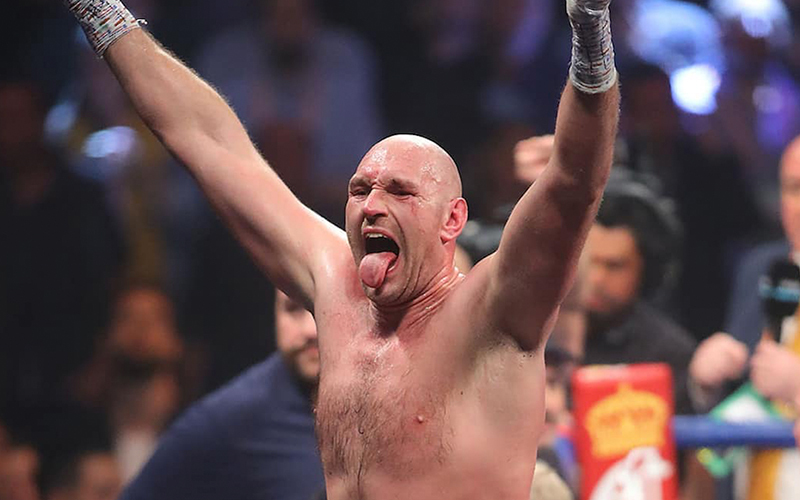 Fury not only somehow returned to his feet but also finished the final two minutes of the fight strongly to secure a split decision draw; 115-11 for Wilder, 114-112 for Fury and 113-113. The 30-year-old, who three years ago sensationally ended the 11-year reign of heavyweight legend Wladimir Klitschko, controlled many of the rounds and felt he had done enough to shock the world again. Undefeated Fury, rather than complain about the verdict, instead dedicated his performance to fellow mental health sufferers. “It’s an iconic comeback,” Fury told BT Sport. “Two-and-a-half-year out of the ring, 10 stone ballooned, mental health problems. “I just showed the world tonight, everyone suffering with mental health that you can comeback and it can be done. “Everybody out there who has the same problems that I have been suffering with, I did that for you guys. “You know the truth, everybody knows I won that fight and if I can comeback from where I come from, then you can do it to. A fairytale ending may have eluded “The Gypsy King” this time but a second shot at redemption could still be on the cards. The winner of America’s first heavyweight pay-per-view clash in over a decade was supposed to face unified champion Anthony Joshua but a rematch might be easier to make and more in demand. “I would love for it to be my next fight,” added Wilder. “Why not? Let’s give the fans what they want to see. It was a great fight and let’s do it again. It doesn’t matter to me where we do it.